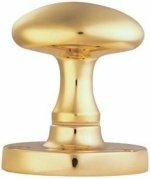 Heavy weight unsprung brass foundry oval mortice door knobs by Fulton & Bray. 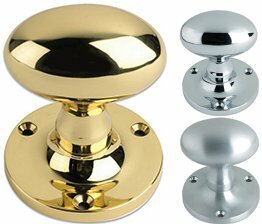 Size 60mm x 36mm diameter knob, 62mm diameter back rose, 75mm projection. 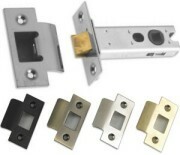 Supplied in pairs with follower bar and fixings.